In Gigabit Ethernet applications, either SFP port, RJ45 port or GBIC port is used in different Gigabit devices, such as switches, routers, servers and storages. And some latest wireless access points (APs) are also equipped with SFP port. Since all these three port types only support 1Gbit and do not go any higher, why are they created instead of using only one type? SFP port and GBIC port can be found in a variety of equipment, including Ethernet switches, routers, network interface cards, servers, etc. 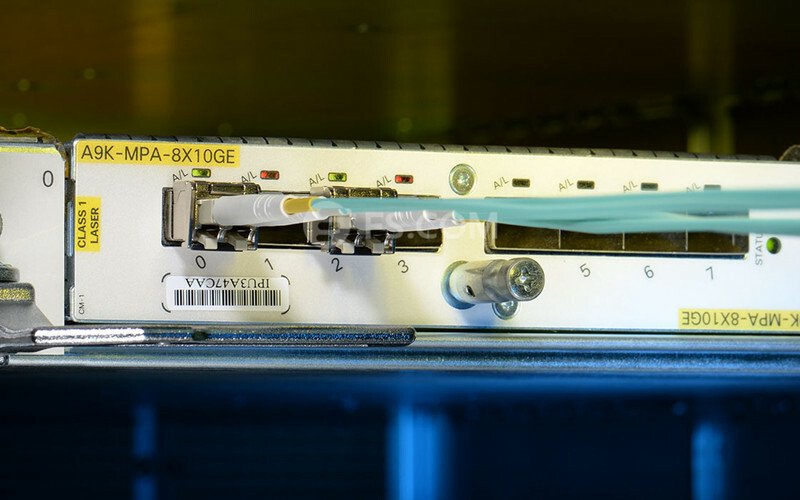 Today most Ethernet switches are designed with as least one or two Gigabit SFP uplink slots. What is SFP port? 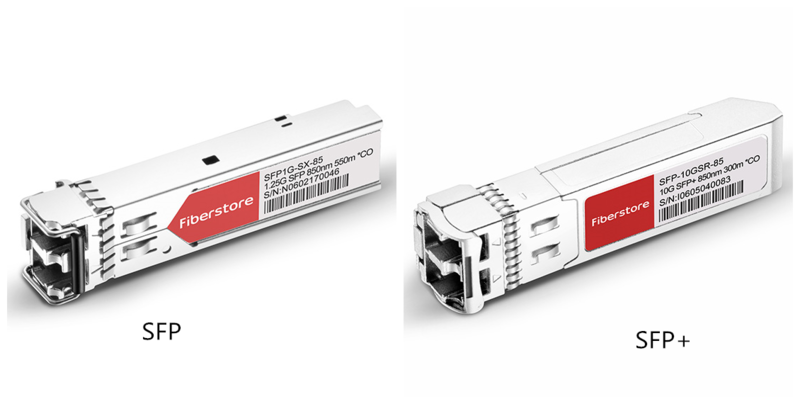 As the name implies, SFP port is intended for taking in SFP (mini-GBIC) fiber modules with small form-factor (SFF) connectors, while GBIC port is for accepting GBIC modules. The two types of ports can provide the same data rates and same distances in Gigabit applications, but the same number of SFP ports uses less space than that of GBIC ports. Since they have the equal functionality, SFP has gradually taken the place of the older GBIC in Gigabit networking for space-saving and economical reasons. The table below is a comparison of SFP port vs. GBIC port. 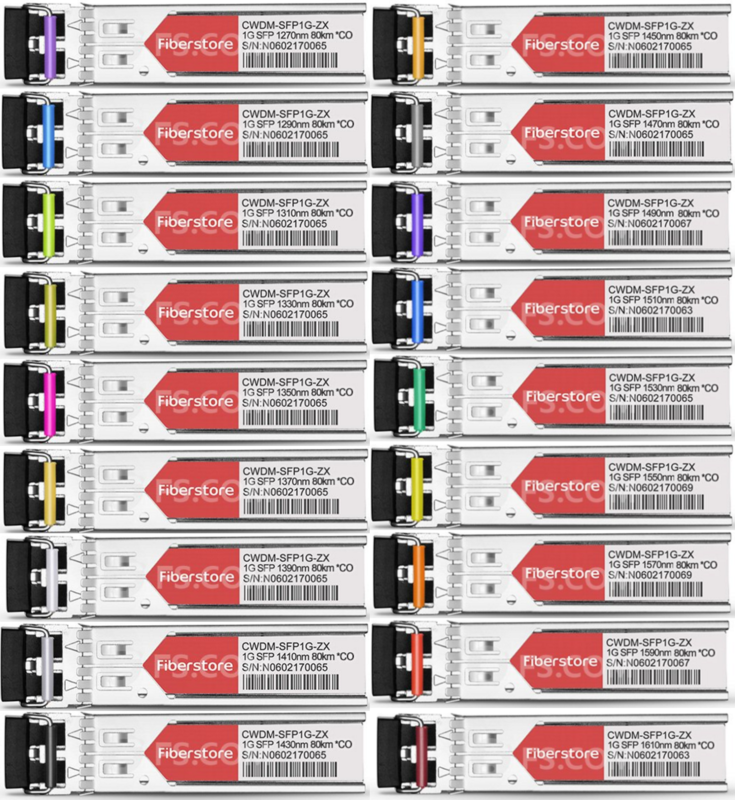 Supported Standards 1000BASE-T, 1000BASE-SX, 1000BASE-LX, 1000BASE-LX10, 1000BASE-LX/LH, 1000BASE-LH, 1000BASE-EX, 1000BASE-ZX, 1000BASE-BX, 1000BASE-CWDM, 1000BASE-DWDM. Supported Distances Up to 100 m, 300 m, 2 km, 10 km, 20 km, 40 km, 80 km, 100 km, 150 km. Module DOM Function Modules support digital optical monitoring (DOM) function, providing real-time monitoring of transceiver’s operation temperature, optical input, optical output, laser bias current and supply voltage. If you want to know more about the SFP types that the SFP port support and their detailed specifications, such as wavelengths and distances, you can read: How Many Types of SFP Transceivers Do You Know. The RJ45 ports in Gigabit networking devices follow the 1000BASE-T Ethernet standard. They only support twisted pairs for network connections, and the distance is limited to 100 m (330 feet). RJ45 port uses Category 5/5e/6 and higher level copper Ethernet cables for 1Gbit transmission. Compared with switch using only RJ45 port, SFP port switch supports more types of communication cables and longer reaches of links. Here are the differences between SFP vs. RJ45 port. Connection Cable Types Multimode fiber cable, single-mode fiber cable, twisted pairs (Cat5, Cat6 or higher). Twisted pairs (Cat5, Cat6 or higher). Since most end-points at the customer’s are still using RJ45 port, in order to retaining the convenience of RJ45 port while providing the advantage of SFP network to customers, some switches include combo SFP/RJ45 ports. So users can choose to utilize either the SFP port or the RJ45 port at a time for short-distance connections. What Is Dual-Rate SFP Port? 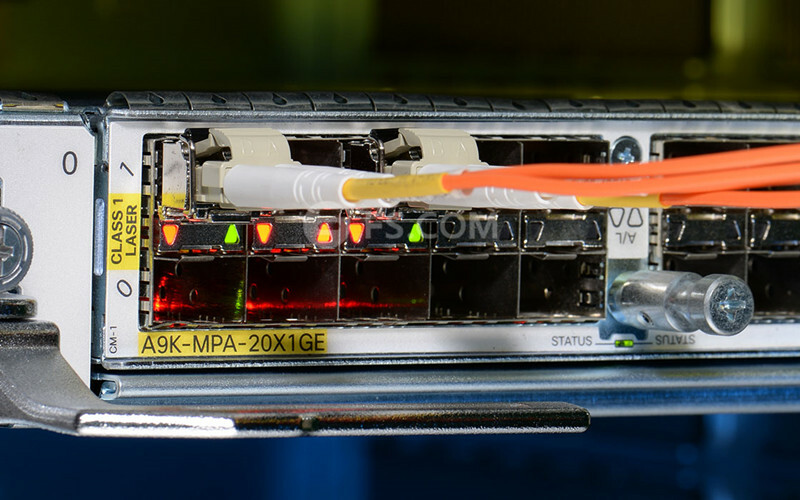 The dual-rate SFP slot is 10G activated, and an SFP+ module is installed; the interface is in 10G mode. The port is 10G activated, but an SFP module is installed; the interface is in 1G mode. The port is not 10G activated, but an SFP+ module is installed; the interface will be link down state. The port is not 10G activated, and an SFP module is installed; the interface is in 1G mode. The three port types—SFP port, RJ45 port and GBIC port—are used in different networking equipment. The SFP port is now more commonly used than GBIC port since the former one provides the same function and is more compact. When SFP port vs. RJ45 port, SFP port supports connectivity through varieties of fiber cables and the copper twisted pairs, and a wide range of link distances, but RJ45 port accepts only twisted pair cables and a shorter distance. Since every thing has both two sides, it is not always the best to choose SFP slot. 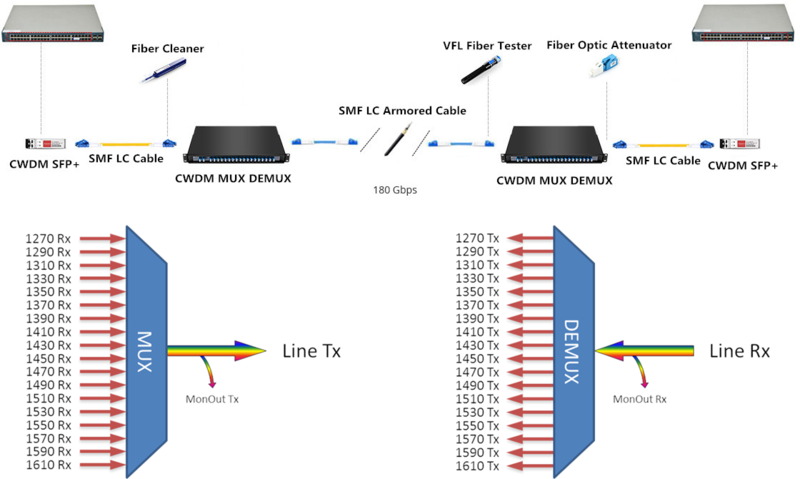 The two articles: GBIC vs SFP: When It’s Best to Use GBIC and When to Use SFP, and RJ45 vs SFP: Which Should I Use to Connect Two Switches, specifically discussed when to use which port/module type. This entry was posted in Network Switches and tagged GBIC port, RJ45 port, SFP port, SFP slot, SFP vs. RJ45 on February 7, 2018 by Serenity Huang. 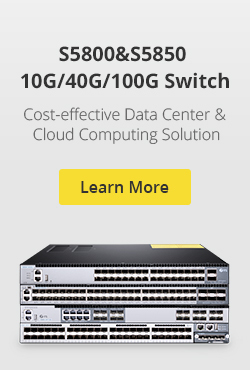 Cisco Catalyst 2960 series switches are available in 2960, 2960-S, 2960-SF, 2960-X and many other types. The Cisco 2960-S and 2960-SF series are the newest members of the 2960 family that offer a rich set of Layer 2 features. 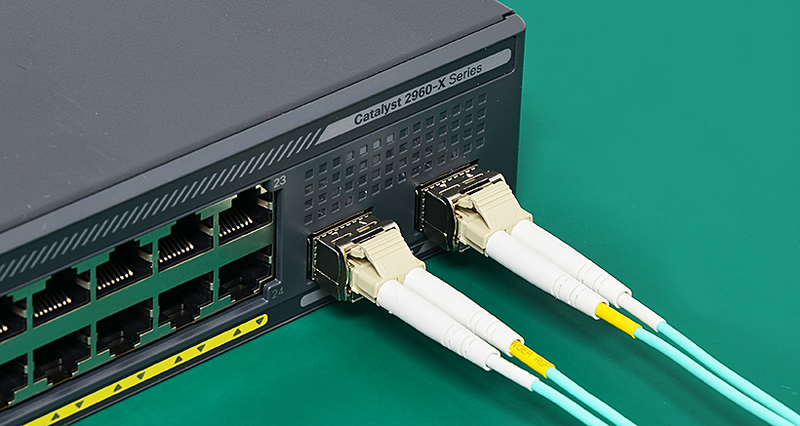 The 2960-S provides Gigabit Ethernet (10/100/1000) connectivity with 10G/1G SFP+ uplinks, and the 2960-SF provides Fast Ethernet (10/100) connectivity with 1G SFP uplinks. This blog mainly introduced the knowledge of 2960-SF series switches and their compatible Cisco 2960 SFP modules. Cisco Catalyst 2960-SF series switches deliver secure and reliable LAN access for branch and medium-sized campus deployments. They enable reliable and secure business operations and lower total cost of ownership through a range of innovative features including FlexStack, Power over Ethernet Plus (PoE+), and Cisco Catalyst SmartOperations. These series switches include 7 models. 5 models with LAN Base Software and 2 models with LAN Lite Software. What’s the Difference Between the LAN Base and LAN Lite Switches? By consulting the Cisco 100-Megabit Ethernet and Gigabit Ethernet SFP Modules Compatibility Matrix, I get following compatible Cisco 2960 SFP models that supported for 2960-SF series switches. Cisco 2960-SF Ethernet switch enables a wide range of business or residential applications and services. 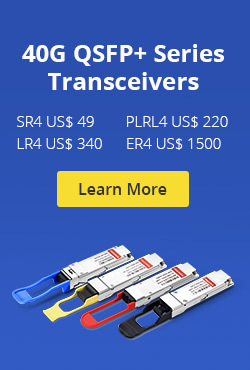 FS.COM offers all above Cisco compatible transceiver with reasonable prices and high performance. All those products are tested before shipping to ensure high quality. For more details, please visit www.fs.com or contact us via sales@fs.com. This entry was posted in Switch & Transceiver and tagged Cisco 2960, Cisco 2960 SFP, Cisco compatible transceiver, Compatible SFP, ethernet switch, SFP port on November 22, 2016 by Alice.Gui.